If your CPG or e-commerce company is looking to sell products on Amazon (AMZN), or if your brand is already selling to consumers online, you may realize it’s a little more difficult to earn profits than the four-step, list, sell, ship, get paid, process that’s on the Amazon get started page. The true contenders, the companies that are producing the most sales with the best ROI, are fully aware that this competitive landscape is anything but a free-for-all. It takes an immense amount of data analysis, strategic digital marketing tactics, targeted paid search, not to mention some organic SEO to truly get to the coveted “Amazon Best Seller” stamp of approval. To add insult to injury, not only is Amazon the hottest marketplace for CPG companies to sell products direct to consumers, they are now producing their own products to contend in the most profitable categories and quickly becoming a formidable competitor. 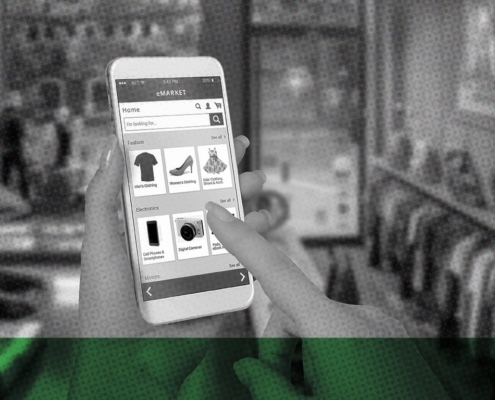 So, how can your e-commerce and CPG organization get ahead of the competition? Where should the decision makers look for innovation in their digital marketing and sales strategy on Amazon? 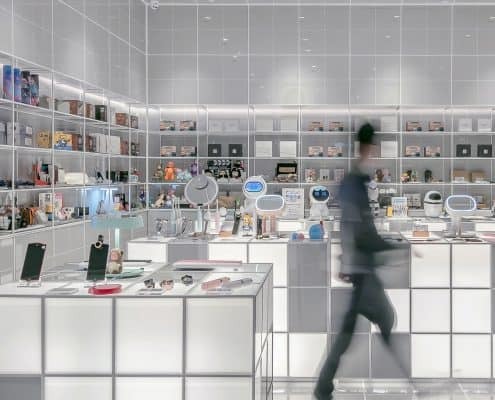 The reason being, as fast as technology has evolved in the last five years, the e-commerce industry has to move even faster to stay ahead of the game. Because of this increase in technology, we as humans have evolved as consumers. There are three major factors that have massively influenced this transformation. If digital marketers within the CPG and e-commerce industry wish to truly improve their customers’ lives they have to collect what users are searching for in search engines, study Amazon’s website analytics, and be able to seamlessly bridge the gap between the customer’s desktop experience and the mobile experience. There’s no doubt about it, Amazon marketers are dealing with an increasingly advanced customer. They’re research-obsessed, demanding, and impatient, but ultimately, they recognize they are all that matters, and Amazon knows that. In order to successfully find the right product to sell, your organization must utilize one of the many free or paid tools available like JungleScout. A product scraper or scanner like JungleScout is the epitome of working smarter, not harder to achieve success on Amazon. There’s no question, extensive data research is the most important precursor towards any successful CPG digital marketing strategy. Jungle Scout will show your organization invaluable predictive analysis on data points like product demand, sales numbers, and customer reviews so your CPG or e-com organization can strategize your product launch to achieve its maximum ROI. In addition to the research, a tool like this is essential to innovation and growth because it will seamlessly allow you to organize this uncovered sales data from thousands of your competitors’ products on Amazon. 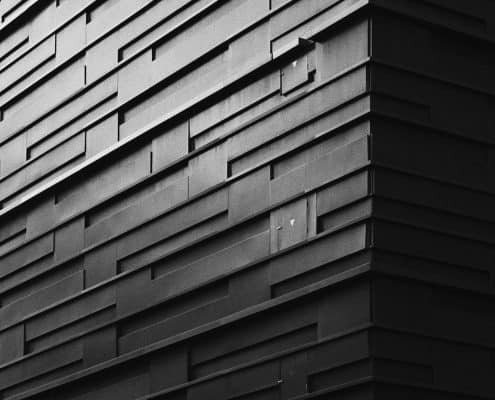 Data without purpose is just data, but organized and comprehensive data and analytics will keep your company leaps and bounds ahead of the competition. This study from One Click Retail showed enormous growth in the luxury beauty, grocery, pantry, and furniture markets over the last year and there aren’t any signs of them slowing down. So, with such a high level of competition in certain niche’s, how can you and your product’s organization innovate its data-driven CPG digital marketing strategy for success? What Amazon does better than almost anyone is providing a customer-centric user experience. Their goal is to complete a user’s “job-to-be-done” as quickly as possible. They have to be able to do that in order to be as disruptive as they have been. If your CPG company can use one of the many machine learning tools to digest the important questions, deduct your customers’ “jobs-to-be-done,” and then strategize your Amazon sales and marketing efforts around customers’ pain points, your organization is sure to elevate their user experience, all the while creating a generation of brand-loyal consumers. Think of your Amazon page the same way your company would think about building a website or producing Google AdWords campaigns. Advanced SEO tactics and extensive keyword research are essential benchmarks for success. Just as your SEO team would “tag” or add meta-descriptions on a website, Amazon has what they call backend keywords. These are worth more than gold to any CPG organization or e-commerce brand. Amazon gives each product page five fields for your e-commerce team to submit your backend keywords. Each line has a fifty-character limit, so that gives you a very strict two-hundred-and-fifty-character limit. If you go over, Amazon will not index them. Sure, having a quality product to sell is incredibly important to consumers, but the user isn’t the only important factor for Amazon. Their algorithm scans every product page explicitly looking for relevant backend keywords that will place your product in front of the right customer when they search the website. As Mr. Bezos says, customer experience is everything to Amazon and the more valuable keywords you can attain for your product the more likely your organization will be in the mix when a user types in a competitive keyword. 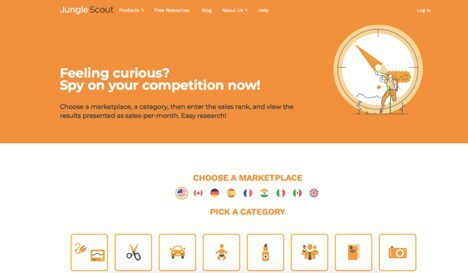 Now, seeing as this tool is specifically built for Amazon sales, we’d recommend Keyword Scout, which is a new app addition to the many tools available with JungleSout. Google’s Keyword Planner and MOZ’s Keyword explorer are great tools as well, but they’re going to pull more data from Google’s search engines and the accuracy within Amazon may not be as efficient as with Keyword Scout. Suggested bidding strategies for Amazon pay-per-click advertising. The exact match search volume for a keyword, which is the number of times a keyword is searched on Amazon for the past 30 days. The broad match search volume for a keyword, which is the number of times a keyword and closely related words or phrases are searched for on Amazon in the past 30 days. Suggested giveaway cues you in on how many units of this product to giveaway daily. Once you’ve compiled your list of valuable backend keywords you’re one step closer towards marketing and selling profitable products on Amazon. Now, it’s onto building your product listing and using this data to fill your pages. CPG and e-commerce success on Amazon is about organically creating a relationship in which your organization provides real, tangible value to your customers. The best way to do this is by populating each product page with incredibly relevant and useful information. So, how can your company increase the relevance of the content on your Amazon product page and build it to be more customer-centric and software-centric? When you optimize the written content on each section of your page you’re not only showing a prospective customer that your product is relevant to their search or “jobs-to-be-done,” but you’re also catering to Amazon’s algorithms which will always put you in a better position than the competition. There’s also the option of using Enhanced Brand Content or EBC. This essential feature will allow your brand to alter product descriptions on your branded ASINs. Your team can take a different approach to describe your product’s features by including an original brand story, quality images, and text placements. We highly suggest adding EBC to your product detail pages so your CPG organization can achieve higher conversion rates, improved traffic, and increased sales. In addition to all the technical SEO best practices for Amazon CPG success, it’s important to understand that if your business is going to deliver content on the page, it better be focused and relevant. In our “buy it now” mobile generation, any friction in the purchase or user process will simply end in customer abandonment. Lastly, product reviews are the golden ticket to success on Amazon. Every customer is wildly varied and there is never a “one-size-fits-all” approach to successful CPG marketing on Amazon. That’s why it’s important to use reviews, and the statistics show the how much a quality set of reviews can impact Amazon sales. If your organization is going to elevate a customer’s experience, it’s vital to understand your customer, the platform on which they’re accessing their information, and what their intended outcome is. Remember, a successful CPG digital marketing strategy on Amazon isn’t just about getting more customers to your page, it’s about getting the right customer at the right time, that’s why it’s vital to utilize emerging technologies and platforms. Social Media– Instantly share information with customers on new products and updates. Voice Search– The future of search is natural language and voice will eventually be an easier communication stream for any demographic to start the product education journey and purchase process. CPG and e-commerce companies need to fully embrace the data-driven revolution if they’re going to create successful and meaningful relationships with Amazon and your customers. If your organization is still shaking its head over Amazon marketing goals and objectives and what strategies your company should implement to increase brand awareness and maximize profits, reach out to Evolve Digital Labs for your free consult. A minute of your time could improve user experience and increase ROI. Profitable search engine marketing strategy comes from the marriage of comprehensive on-site SEO combined with keyword and data-driven paid media marketing. Over the last few years, defining the key touchpoints in a user or customer journey has become increasingly difficult for marketers. That's why it's necessary to test different marketing attribution models to ensure our messaging is reaching the right customer with the right message at the right time. In the era of online advertising, there are more platforms than ever before to reach an audience and market your products or services. We've analyized the data from Google, to Bing, to Facebook, to Amazon and categorized it by industry so you know the most cost-effective platform to reach your audience. If your organization is advertising on Google Ads, you may be coming to the realization that it's a little more difficult than simply hitting GET STARTED. Minimize your business waste with more efficient and effective meetings. We applied our data-driven approach to our own meetings and saw great results. Google AdWords is now Google Ads, and if your organization isn't using this branding change in your online content you could be missing out on vaulable customers online. Here's what you need to know. The Future of Digital Marketing in Telecom is Software-Centric. Because of this increase in technology, we as humans have evolved as consumers. Put your SEM / SEO and PPC knowledge to the test with this fun and challenging brainbuster.